Looking for it all? There are lots in the neighborhood listed for this price... No Bridges! No lock! DIRECT SAILBOAT ACCESS! Western Exposure Sunsets! Pool home w/ Dock & 10k Boat Lift with Canopy!Â A True Boaters Paradise! This home is about 10 minutes to the river. Enjoy sunset boat rides to the waterfront restaurants at Tarpon Point Marina and Cape Harbour. 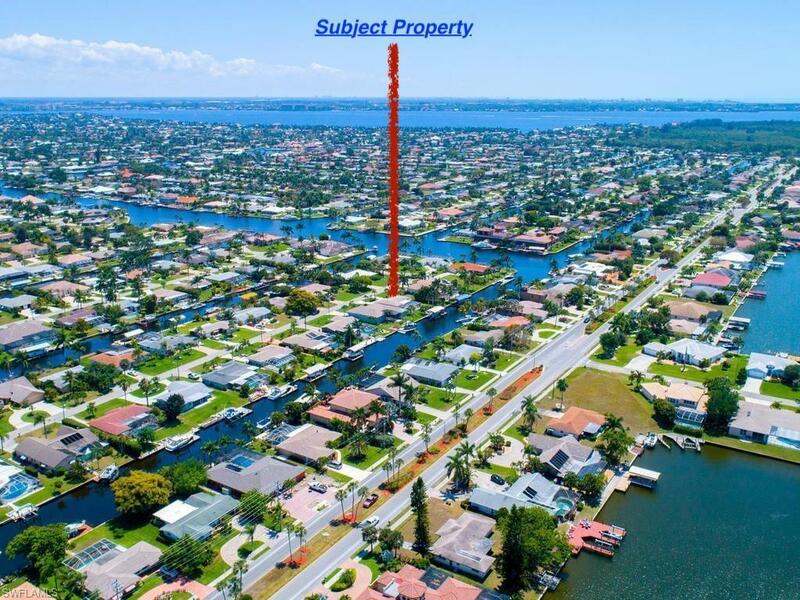 Your access to the River is through the Bimini Canal which is the widest canal in Cape Coral at 200ft. This home is also walking distance to other dining, shopping, and the beautiful Rotary Park! This home is move in ready and would be great as a seasonal rental as it checks all of the boxes. This home has been meticulously maintained, recent work that was noted includes work to the deck, tiki hut, repipe, replaced attic insulation, new pool cage, new HVAC, updated kitchen & bathrooms and lanai, resurfaced 28x14 large pool, new tile throughout, replaced roof, updated window & storm shutters and rain gutters.